6 BUST FOR VODACOM STORE DAMAGE! 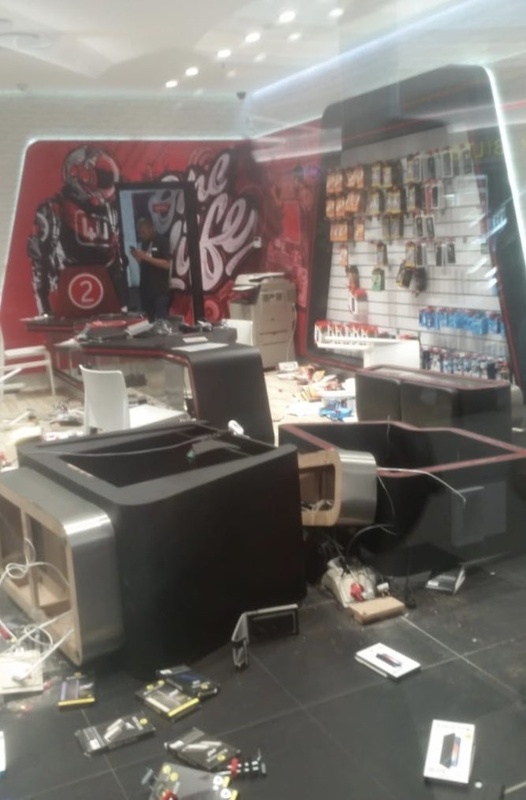 The Police in Polokwane have arrested six suspects for Malicious Damage to Property following acts of vandalism that took place at two Vodacom shops. The arrests took place on Thursday. The incidents occurred at The Mall of the North and in Makhado. Police spokesperson Brigadier Motlafela Mojapelo said according to the information received, the suspects allegedly invaded the shops on Sunday at about 11:50 and started damaging the properties. He said the damage caused is estimated at R 900 000. The suspects, aged between 25 and 45, will appear in Polokwane magistrate's court soon on charges of Malicious Damage to Property. Mojapelo said the motive for this vandalism is unknown at this stage but police investigations are continuing.